Michael was born and raised in Mesa, AZ. He attended ASU, graduating with a Bachelor of Arts degree in Chinese. After graduation, he moved to Salem, OR and attended Willamette University, College of Law. 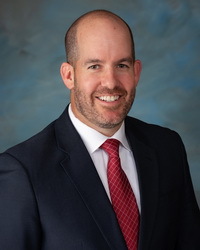 He clerked at the law firm of Schlegel, Jarman and Simons, LLP, and upon passing the Oregon State Bar, was offered a full time attorney position. It was at this law firm that he learned the vital significance of proper planning for individuals and families. This ultimately set the stage to open his own firm and focus primarily on estate planning, trust and probate administration. He maintained a successful solo practice in Salem for 10 years, when his wife's health demanded they move to a drier climate.